(Reuters) - Tesla Inc (TSLA.O) on Wednesday cut U.S. prices for all its vehicles to offset lower green tax credits, and fell short on quarterly deliveries of its mass-market Model 3 sedan, sending shares of the electric vehicle maker down nearly 7 percent on worries of future profitability. Analysts questioned whether the $2,000 (1,589 pounds) price cut on all models signalled lower demand in the United States, and ultimately whether the move would undermine nascent profitability at the Silicon Valley automaker, which has never posted an annual profit. "In our view, this move could suggest that what many bulls assume to be a substantial backlog ... for Tesla may be less robust," wrote Bank of America analyst John Murphy in a client note. Chief Executive Elon Musk, who has often set goals and deadlines that Tesla has failed to meet, surprised investors by delivering on his pledge to make Tesla profitable in the third quarter, for only the third time in its 15-year existence. But the company is unprofitable for the first nine months of 2018, and cash flow remains a concern for investors. Musk has been under intense pressure to deliver on his promise of stabilizing production for the Model 3, which is deemed crucial for easing a cash crunch and achieving long-term profitability. It said it was churning out almost 1,000 Model 3s daily, broadly in line with Musk's promises but slightly short of Wall Street expectations. The company said it would begin delivering Model 3s to Europe and China in February. The price cut of $2,000 beginning on Wednesday on the Model 3 - as well as on its higher-priced Model S and Model X - took the market by surprise and weighed on the stock, pushing it down 6.8 percent to close at $310.12, after falling as much as 10 percent during the session. The lower price comes as automakers expect U.S. new vehicle sales to weaken in 2019, and amid increased competition from new electric vehicle entrants. Tesla sales benefited from a $7,500 federal tax credit on electric vehicles throughout 2018, but that full credit expired at the end of 2018, and new buyers will now receive only half that amount. Under a major tax overhaul passed by the Republican-controlled U.S. Congress in 2017, tax credits that lower the cost of electric vehicles are available for the first 200,000 such vehicles sold by an automaker. The tax credit is then reduced by 50 percent every six months until it phases out. "The price cut is what's driving the stock lower, as it openly acknowledges the sunset of subsidy dollars is a material headwind," said Craig Irwin, an analyst with Roth Capital Partners. But some said fears of eroded demand were overblown. Gene Munster of Loup Ventures calculated that the lowered tax credit equalled, on average, a 3 percent discount on a Tesla. If Tesla had a demand issue, therefore, the company would have cut its prices by more than 3 percent, he wrote in a note. General Motors sold its 200,000th electric vehicle in the United States in 2018, similarly triggering a phase-out of the federal tax credit, a source said on Wednesday. GM declined to comment. 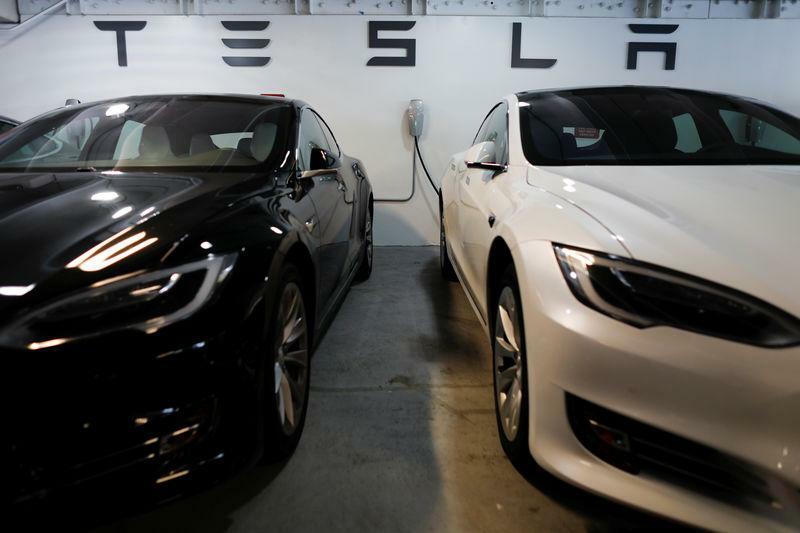 Hargreaves Lansdown analyst Nicholas Hyett estimated in a client note that if Tesla continues to deliver cars at the current rate, the price cut will mean $700 million in lost revenue in 2019. Wedbush analyst Daniel Ives, meanwhile, said the price cut was "a potential positive" for demand, "but not what the bulls wanted to hear on the impact to profitability and ultimately the bottom line." Tesla delivered 63,150 Model 3s in its fourth quarter, falling short of FactSet estimates of 64,900. Tesla said that based on its own compilation of analysts' forecasts, its delivery numbers were in line with market expectations. Bank of America analyst John Murphy wrote that the numbers were in line with market consensus, though below the bank's estimate of 71,500 Model 3s. Total deliveries rose from the third quarter to 90,700 cars, but missed forecasts, which had been influenced by analysts' expectations of a surge in buyers looking to cash in on the tax credit before year-end. Reuters calculated that Tesla's third-quarter pretax profit was around $3,200 per vehicle delivered. That would mean a $2,000 price cut could eliminate more than half of that gain. For the first nine months of 2018, the company suffered a third-quarter loss per vehicle delivered of $8,019. Overall, total production rose 8 percent to 86,555 vehicles. The company churned out 61,394 Model 3s, up from a total of 53,239 Model 3s in the third quarter. "Tesla disappointed the market. The deliveries are below our estimates and the consensus estimates. I don't expect that Tesla operates in the black in 2019," said Frank Schwope, an analyst with NORD/LB.